As RV travellers we all should aim to adhere to the highest possible standards of conduct especially when it comes to leaving the environment in the best possible shape now and into the future. While many motorhomes and campervans have had holding tanks fitted for not only black water but also for grey water, the trend to date for caravans has been to provide for a holding tank for black water only. This trend is slowly changing with several caravan manufacturers now providing an option for a grey water holding tank. Caravan owners who do not have grey water tanks fitted can purchase special holding tanks (tote tanks) which can hold grey water for proper disposal at a dump point if possible. 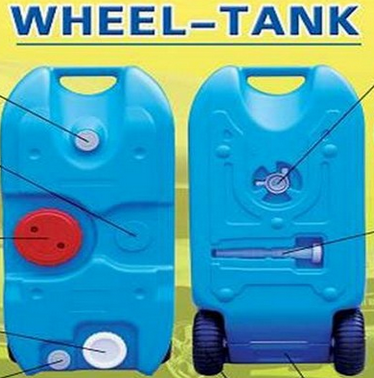 One example of an aftermarket tote tank is the wheel tank. Using a bucket under the outlet to collect the grey water was probably fine in the days before ensuites in caravans became the norm but with the larger volume of grey water now being generated a better solution has to be found for those times when camping where no sullage drainage is available. 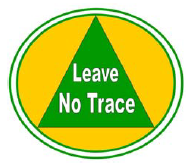 As part of ongoing efforts in working with Councils and local authorities for the benefit of all RV travellers, the Campervan and Motorhome Club of Australia Limited (CMCA) has established the Leave No Trace Code of Conduct and Self Containment Vehicle accreditation scheme. This Scheme is designed to show authorities that self-contained RV’s need not have a negative impact on the environment, even if a campsite has no facilities. Follow this link to get your application form. Note this scheme is an initiative of CMCA and the SCV application process is managed by the CMCA. This Code of Conduct provides an opportunity to show the controlling authorities of rest areas and camping sites with no infrastructure, that there will be no negative environmental impact when allowing the responsible use of sites by self-contained vehicles, be they self-drive or towed units. Follow this link to get your copy of the Code of Conduct.